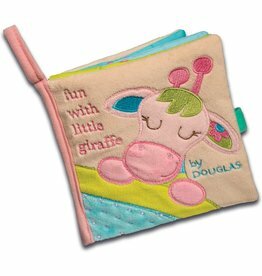 Giraffe Activity story time soft baby book. Colorful flaps, tags and soft mirrors, squeaks and rattles! Sweet story makes a perfect sensory gift for baby!